Edinburgh: Police are treating the incident as attempted murder. A man has been charged after allegedly trying to kill a woman in a flat in Edinburgh. 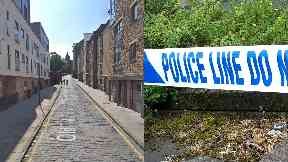 The murder bid is said to have happened in Old Tolbooth Wynd shortly after 1am on Wednesday. A 51-year-old woman was taken to hospital with minor injuries before being released. A Police Scotland spokeswoman said: "Police in Edinburgh have charged a 51-year-old man in connection with attempted murder after officers were called to an address in the Old Tolbooth Wynd area at around 1.05am on Wednesday, April 10. "A 51-year-old woman was taken to hospital with minor injuries and released following treatment. "The man is expected to appear at Edinburgh Sheriff Court on Thursday."